• Available in Navy or Green "digitized" camo print. 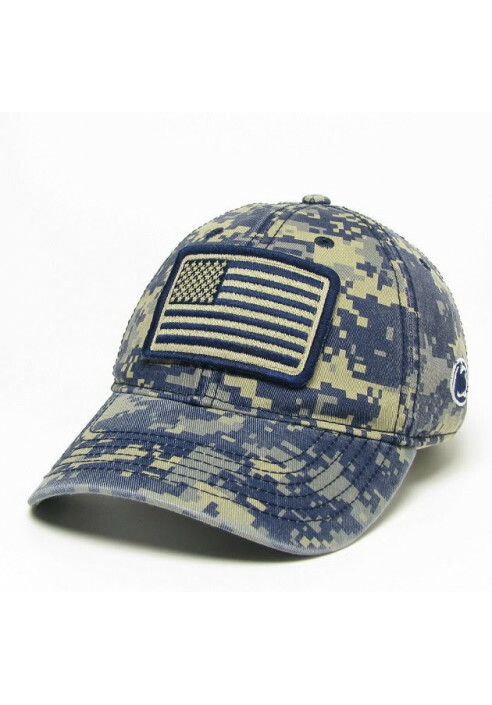 • Sepia & Navy embroidered American Flag applique sewn on front. • Nittany Lion Logo embroidered on left side.